From May 08 to July 12, 2016, the FMIS Management Working Group (FMWG) from Ministry of Economy and Finance’s IT department had been providing second round training and equipment maintenance at all 25 capital-provincial treasuries officers as a response to the request and acknowledgement of the actual need of the Capital-Provincial Treasuries (C-PTs). 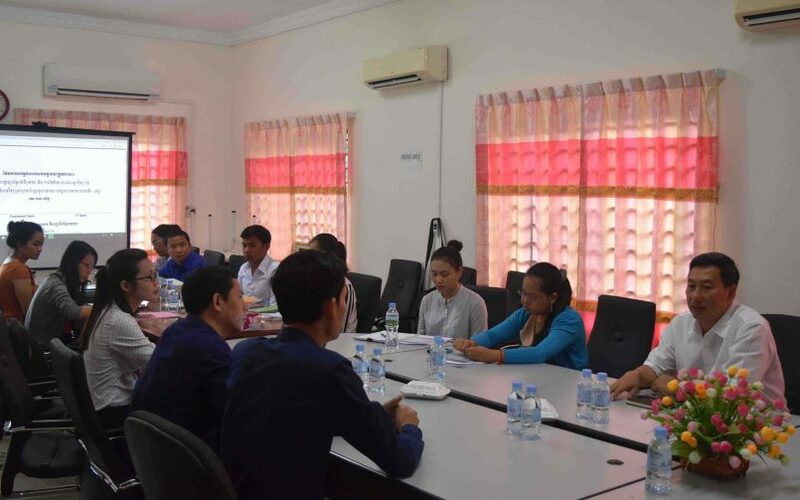 The main objectives of the mission were to enhance the knowledge of end-user officers at the C-PTs, introduce them how to operate Help Desk system and Remote Assistance, monitor and give the maintenance to the technology equipment devices for FMIS practice such as computer, printer, scanner and others. The working group was divided into two main sub-groups to operate the mission separately at all 25 capital-provincial treasuries, where the groups spent two full days during the mission in each treasury. The whole mission took roughly more than two months dating from May 09 to July 12. As a result, the working group had solved and answered the problems and questions raised by the treasury officials. The officials at C-PTs were seen to be showing their interest in learning from the training. However, the working group also figured out some keys issues which demanded different relevant stakeholders to put into consideration in order to bring upon mutual solutions. Some treasuries were still manually recording the transaction into their old system, doubling their workload. Moreover, analysis reports monthly required by General Department of National Treasury had to be done manually as well. Some officers couldn’t fully join or pay attention on the training as they were so busy with their daily manual works. The differences between account number in FMIS and current account number used in the treasuries had caused the invalidities of reports and other documents printed from the system. Instability of electricity in some provinces had slowed down the financial operation through the system as well as gradually damaged the electronic equipment. The FMIS capacity of some officers was still limited, being a barrier to the data entry. While some couldn’t solve the error cases, some couldn’t determine errors at all. In general, the working group showed overall optimistic impression on this mission and strongly believed that the activities throughout the mission will help the end-users to push further the progress of FMIS implementation. The practical experiences learnt during this mission will also play as good inputs for the group to use as an enhancement for better activities in the future. 11-12 July, Phnom Penh capital treasury. Last but not least, the working group would like to show the gratitude to all the treasury officers who had been engagingly cooperating with the group during the mission. If you have any question or comments for the FMWG, please contact us via fmis.info@mef.gov.kh or 023 430 063.